The Governor of Sokoto State, Aminu Tambuwal, has declared that President Muhammadu Buhari was not interested in free and fair election. Tambuwal said the president was more interested in “shortcut to get back to Aso Rock” and not in free and fair elections. He stated this while condemning the refusal of the President to sign the Electoral Act into law. Recall that Buhari had last year refused to sign the Electoral Act into law. Explaining why he refused to sign the Electoral Act, Buhari had said: “Pursuant to Section 58(4) of the constitution of the Federal republic of Nigeria 1999 (as amended), I hereby convey to the House of Representatives my decision on 6th December 2018 to decline Presidential Assent to the Electoral (Amendment) Bill, 2018 recently passed by the National Assembly. However, the former Speaker of the House of Representatives, while speaking with Vanguard rubbished Buhari’s claim, saying the President had no reason not to sign the electoral amendment bill into law. 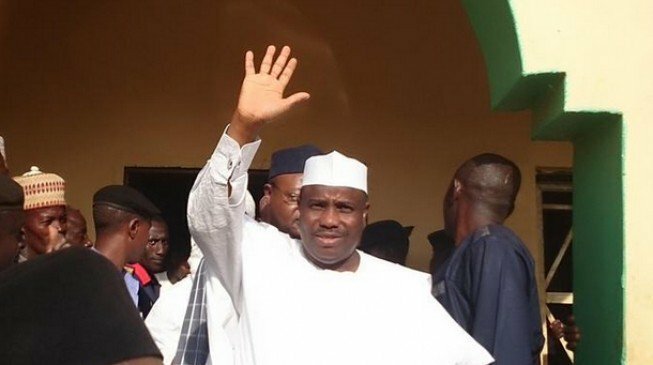 According to Tambuwal: “The president’s reason is laid back. “Amendments were done while I was Speaker and not only once. President Muhammadu Buhari of today is not interested in free and fair election. The governor also stated that the Peoples Democratic Party, PDP, will insist that votes must count since the president has refused to sign the bill into law. “We are responding by going to the people; we have been campaigning. We will insist that votes must count, it is not negotiable. “The fact that they are interested in rigging which is obvious, does not mean that there should not be a free and fair election. “We are insisting on free and fair election, and we are reminding Prof. Mahmood Yakubu that there will be a day that he will cease to be INEC chairman and he has a family, he has a history, he has a future,” he said.